Dimensions 16.0 In. X 34.0 In. X 3.0 In. Men's Suits Buying Guide from Overstock.com. Every man should own at least one great suit. This guide will help you know what to look for, so you can determine which suits are right for you. 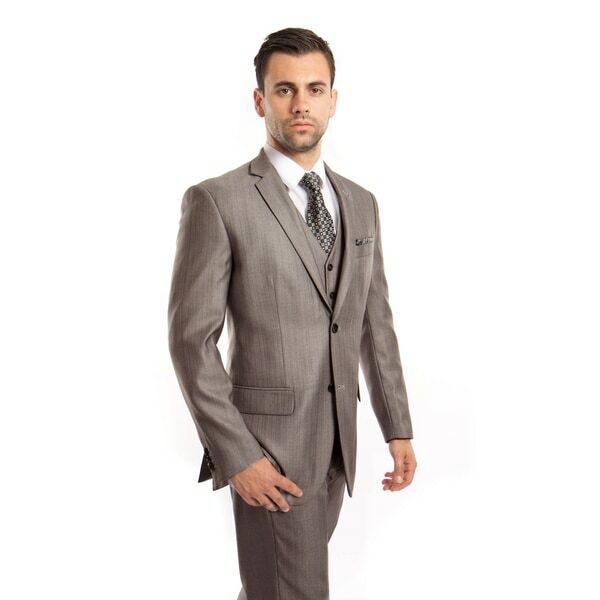 Best Men's Suits to Wear to Weddings from Overstock.com. Whether you're the groom, the best man or simply a guest, the suit you choose to wear can make all the difference. How to Measure Yourself for a Men's Suit from Overstock.com. Taking these measurements before shopping will save you a lot of time when you compare sizes and fits of men's suits. Tips on Buying Seersucker Suits from Overstock.com. Our guides provide customers with tips on buying seersucker suits.